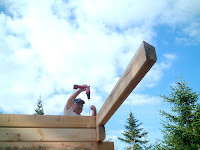 Many of the log providers have engineers on staff, that can help you in the design of your project All cabins are custom built to your liking. Selection of a log manufacturer will depend on your preference of log sizes, style and the locations of your building site. Many log manufacturers do ship worldwide. You dream it, and we can build it. 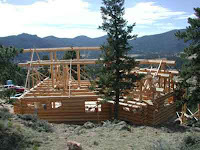 Log cabins starting from $100 a square foot, dried in. 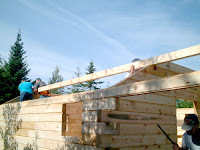 The way the put these cabins together are very carefully, here is a picture of just the start of building one.